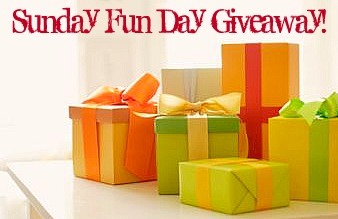 Hope you're having a good weekend and are ready for this week's Sunday Fun Day Giveaway! This week I've reviewed a new website for restaurant discounts. We've all heard of sites like Restaurant.com, Groupon, Living Social and even those Entertainment coupon books. Well, there's a new one I was introduced to called Dealavue.com. Dealavue.com is unlike any of its competitors, we offer over 500 daily real-time deals on our website and on our new application for users to purchase at their convenience. Dealavue's website and new app pinpoints all the relevant deals geared towards the consumer's interest, location and wants. Another unique feature that Dealavue offers is the ability to purchase deals using their iphone or ipad and use the voucher right there and then without having to print or wait for the deal to go live. These are great features for those on the go, having a last minute craving or are in the mood to try out a new hot spot on a budget. I had the opportunity to check out a local pizza place nearby using Dealavue dollars, compliments of Dealavue. First off, the site is extremely easy to navigate through. I can view all the lists of restaurants participating in real time discounts and also view the places on a map which made it visually easy. All the information you need about the discount is all there - no complicated fine print or crazy restrictions to deal with, as I've experienced with similar sites. When I went to redeem my Dealavue dollars, it was welcomed and had no problems with using it at the restaurant at all. As for the participating restaurants, there are so many to choose from. From fast food to formal places, there are quite a few to choose from and they're adding new restaurants and deals all the time. You'll also notice there are discounts on other things as from restaurants including spas, entertainment, shopping, travel, etc. So this week, I'm giveaway $25 to a Chicagoland reader so they can try out Dealavue! They are slowly working on expanding to other large cities but for now, they're headquartered in Chicago and have a number of Chicagoland businesses participating. - Giveaway is only for those who live in the Chicagoland area - my apologies to my non-Chicagoland readers! What is your favorite Chicagoland-area restaurant? Deadline: Thursday, May 19, 2011 at 12 midnight CST. One winner will be randomly chosen by Random.Org's Interger Generator based on the number of your comment and will be announced on Friday, May 20, 2011. Good luck! Favorite Chicagoland restaurant is Orange. Probably because I love breakfast and especially pancakes. When I go there, I can get a pancake flight. I dont even have to worry about choosing what is the best pancake. It can have 4 different pancakes at once. Yum! Plus the frushi. The best Chicago restaurant I have been to is Frontera Grill! Soooo delicious! I love love love North Pond! The food is so simple, so well done, and delicious. And you can't beat the location and ambiance! Japonais - is the best Chicago restaurant, I love stake on a rocks and spicy scallop roll!